Sarah Nader- snader@shawmedia.com Crystal Lake Central co-op's Larisa Luloff tees off on the fifth hole during the Class AA Prairie Ridge Girls Golf Regional in Crystal Lake Wedensday, October 9, 2013. 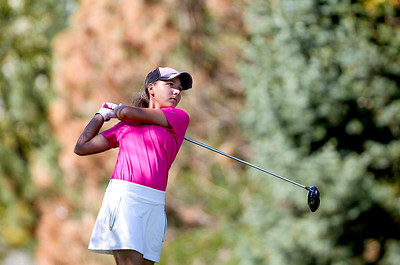 Sarah Nader- snader@shawmedia.com Barrington's Shivani Majmudar prepares to putt on the fifth hole during the Class AA Prairie Ridge Girls Golf Regional in Crystal Lake Wedensday, October 9, 2013. 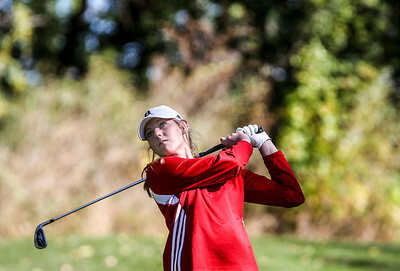 Sarah Nader- snader@shawmedia.com Barrington's Bailee McDonald watches her ball after teeing off on the fifth hole during the Class AA Prairie Ridge Girls Golf Regional in Crystal Lake Wedensday, October 9, 2013. 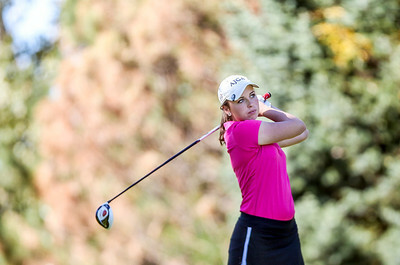 Sarah Nader- snader@shawmedia.com Crystal Lake Central co-op's Lexi Harkins tees off on the sixth hole during the Class AA Prairie Ridge Girls Golf Regional in Crystal Lake Wedensday, October 9, 2013. Sarah Nader- snader@shawmedia.com St Charles East's Mary EEllen Combs during the Class AA Prairie Ridge Girls Golf Regional in Crystal Lake Wedensday, October 9, 2013. 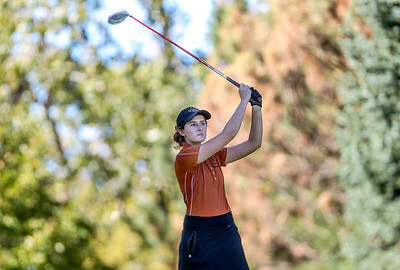 Sarah Nader- snader@shawmedia.com Crystal Lake Central's co-op's Bailey Bostler prepares to putt at hole two during the Class AA Prairie Ridge Girls Golf Regional in Crystal Lake Wedensday, October 9, 2013. Sarah Nader- snader@shawmedia.com St. Charles North's Carly Hudon prepares her putt during the Class AA Prairie Ridge Girls Golf Regional in Crystal Lake Wedensday, October 9, 2013. Sarah Nader- snader@shawmedia.com St. Charles East's Reagan Stanton tees off on the sixth hole during the Class AA Prairie Ridge Girls Golf Regional in Crystal Lake Wedensday, October 9, 2013. 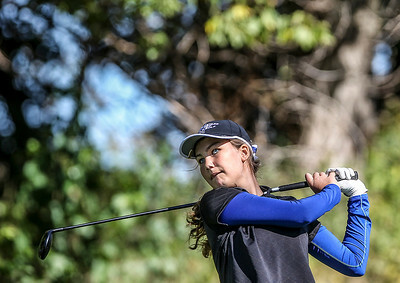 Sarah Nader- snader@shawmedia.com St. Charles North's Kate Lillie tees off on the fourth hole during the Class AA Prairie Ridge Girls Golf Regional in Crystal Lake Wedensday, October 9, 2013. Sarah Nader- snader@shawmedia.com St. Charles East's Darby Crane tees off on the sixth hole during the Class AA Prairie Ridge Girls Golf Regional in Crystal Lake Wedensday, October 9, 2013. 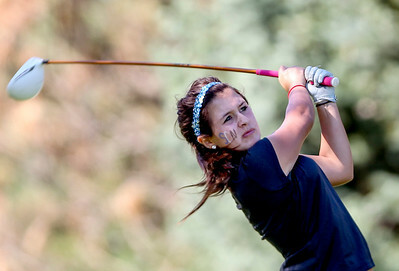 Sarah Nader- snader@shawmedia.com St. Charles North's Gianna Furrie tees off on the sixth hole during the Class AA Prairie Ridge Girls Golf Regional in Crystal Lake Wedensday, October 9, 2013. 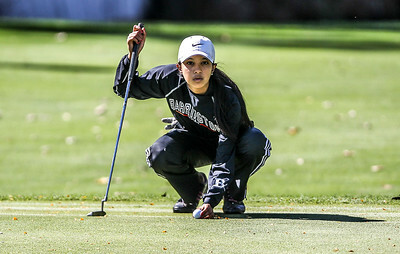 Barrington's Shivani Majmudar prepares to putt on the fifth hole during the Class AA Prairie Ridge Girls Golf Regional in Crystal Lake Wedensday, October 9, 2013.